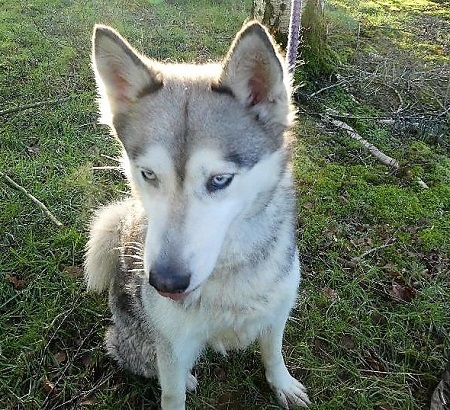 16/2/2019 Gorgeous Mara has gone to her new home which was found locally. Just how gorgeous is Mara? 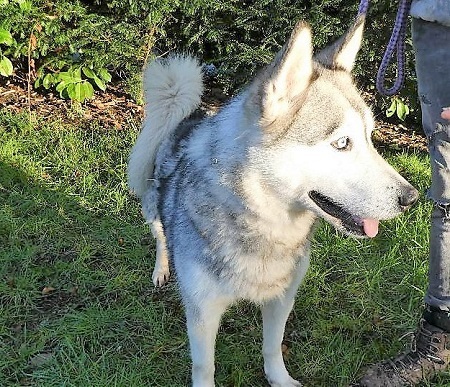 She’s such a beautiful, grey and white Siberian Husky who is approximately 8 years old and looking for a new home with the help of the RSPCA Westmorland in Cumbria. Not only a very pretty lady, Mara is also an affectionate and friendly girl who loves people. 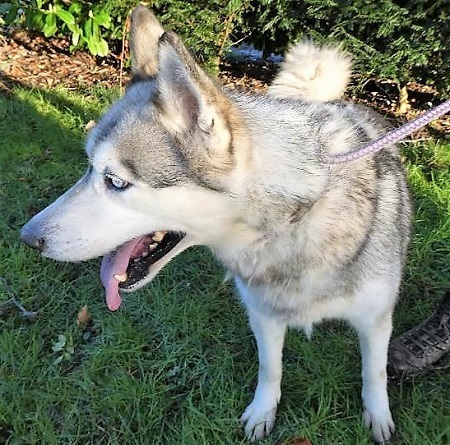 She loves fuss and attention and is a perfect all-rounder who has previously lived with children, another Husky and cats. She knows how to sit plus other basic commands and can be left alone for short periods. Mara was as good as gold recently when she was examined by the vet. She is happy to be groomed and her previous owner said that she is fine when she’s travelling. Due to her size, the RSPCA are recommending a home for Mara with older, secondary school aged children only. She could also possibly live with a dog-savvy cat and another dog. Please watch a short video of her here. Or fill in their Application to Adopt here. Please mention that you saw Mara on the Oldies Club website.